ASUS introduces the newly improvements Cerberus V2 gaming headset that features ASUS Essence drivers for better sound quality with deep bass making it ideal for gaming. The Cerberus V2 now packs a pair of powerful 53mm drivers that provides clear audio with a punchier bass. The Cerberus V2 has multi-platform support meaning it can be used for Mac, PC, mobile and consoles. Aesthetics and comfort is also improved with the addition of the durable stainless steel headband and comfortable full-sized ear pads. This gives a firm grip to your head without discomfort even for hours of gaming. The ear pads are 30% larger than those of the Cerberus headset providing better sound insulation, noise cancellation and comfort. With the 53mm ASUS Essence driver upgrade, audio quality is assured even at high volumes. Bass will be more impactful without making the cans rattle and create sound distortions. The 53mm drivers are the perfect size compared to the 60mm drivers of the original Cerberus wherein there’s a balance between the highs and lows thus giving a richer sound environment making sound effects and cinematic music more lifelike. The Cerberus V2 isn’t just great for gaming but also for quality audio listening. Do you game with PCs, consoles, mobile and others? No problem! With the Cerberus V2, connect with all these gaming devices with ease. The Cerberus V2 comes with an audio/mic splitter so it can connect with dual-port audio devices as well such as in PCs and notebooks. The headset also comes with two microphones – one in-line microphone ideal for mobile gaming and communication and one detachable boom-microphone. 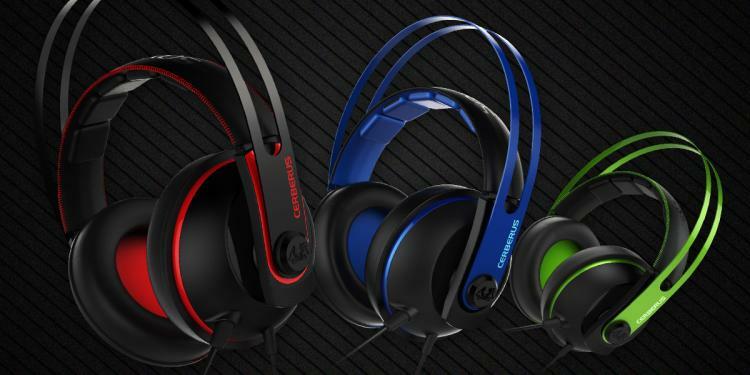 The new ASUS Cerberus V2 gaming headset will be available by the end of April with an MSRP of £59.99 in the UK region.